Military families are no strangers to stress. With constant transitions, deployments, separations, and at times, isolation, military family members can see a rise in physical and behavioral symptoms that can escalate into disease and poor mental health. But what can you do when your life feels overwhelming, your schedules are packed full of activities, and you find yourself solo parenting more often than not? The Department of Defense and many academic and private organizations have banded together to provide you many avenues of support. Military OneSource offers a wide range of individualized consultations, coaching, counseling and online resources for many aspects of Military Life. Service members, their families, survivors and the entire military community have access to Military OneSource resources anywhere in the world at no cost 24/7. Active duty service members, National Guard and reservits, recently separated service members, military families and survivors are eligible to receive this service. Connect with Military OneSource – (800) 342-9647 – 24 hours a day, seven days a week, 365 days a year, from anywhere in the world. OCONUS/International? For calling options, visit https://www.militaryonesource.mil/international-calling-options. FOCUS is a skill-building program that provides lasting results for military families and couples. 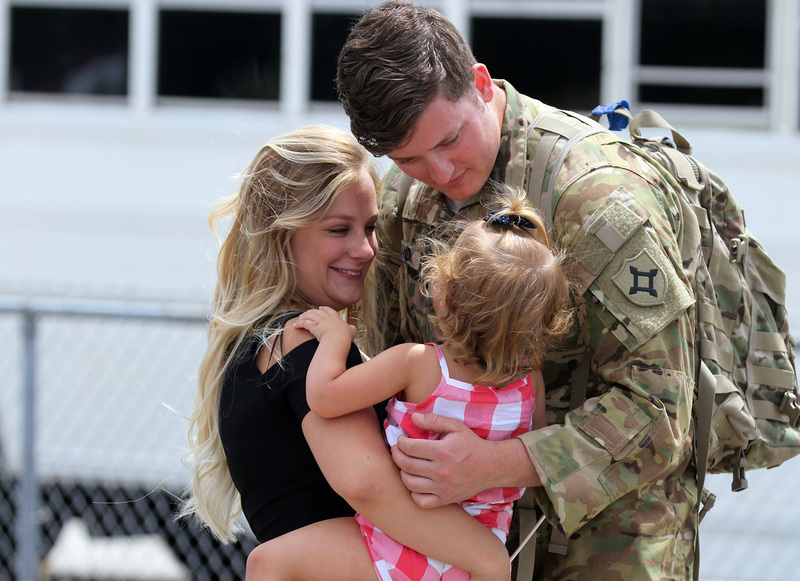 For the past 10 years, families and couples have received FOCUS services in-person at select military sites across the U.S. and in Japan, and it is now available for active duty couples and families all over the world. With the launch of TeleFOCUS, this family resilience training is now available to couples and families in the comfort of their own home. TeleFOCUS uses a secure form of video chat. It promotes strong bonds through interactive sessions for children, adults and the entire family. Families and couples join TeleFOCUS for many different reasons. Just like the in-person FOCUS model, TeleFOCUS sessions are adapted to meet their unique goals. TeleFOCUS is flexible. Families and couples do not have to be in the middle of a tough time to sign up. In fact, most choose TeleFOCUS because they want to build on their strengths and grow even closer. During TeleFOCUS sessions, families and couples develop a shared understanding of their experiences. They also learn about communication, managing emotions and problem solving. TeleFOCUS is open to all active duty families and couples. Recovering warrior families and couples who are dealing with visible or invisible injuries are welcome, regardless of active duty status. An internet connected computer or tablet with a camera is required. Training services are free, internet and data rates may apply depending on the individual service provider. To sign up, call 703-784-0189 or email [email protected]. TeleFOCUS information is also online at www.focusproject.org/TeleFOCUS. The Military and Family Life Counseling (MFLC) Program supports service members, their families and survivors with non-medical counseling worldwide. MFLC’s can be found at various installations, posts, camps, and stations. They are licensed professional counselors who are there for you in person and in real time. Learn more at: www.militaryonesource.mil/military-and-family-life-counseling. PsychArmor is dedicated to bridging the military-civilian divide through free online education. Additionally, PsychArmor provides a Support Center staffed with mental health experts that are ready to support you. PsychArmor recruits nationally recognized subject matter experts to create and deliver online courses about issues relevant to the military and veteran communities. Their self-paced courses are delivered within nine topic areas geared toward military culture, healthcare providers, employers, K-12 educators, higher education, volunteers, caregivers and families, transitioning service members and communities serving veterans. Since 2005 Give an Hour (GAH) has focused on providing free mental health care to active duty, National Guard and reserve service members, veterans, and their families. In 2016, GAH began expanding their efforts to address the mental health needs of other populations. GAH currently works with numerous local, state, and national mental health associations to engage, recruit, and educate members about the opportunity to serve their communities through Give an Hour. https://giveanhour.org/.